Surrounded by fields, bordered by Sand Hollow Creek and below the bright stars - this venue gets up close and personal with what's best about Idaho. 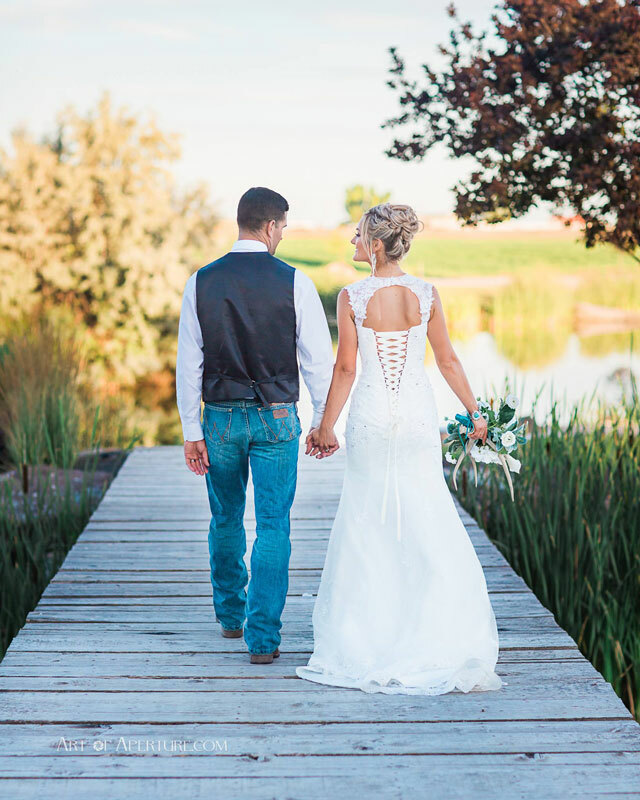 A Creekside Affair is proud to offer Idaho couples a place to share their bliss with their family and friends, a place that’s easy for photographers to capture stunning photos, a place of outdoor beauty and indoor options and convenience . A wedding venue with views of the mountains and front-row seats to Idaho's incredible sunsets. An event center with convenient amenities like a plush bride’s suite and groom’s room, 2 spacious handicap accessible restrooms, included tables & chairs and more. 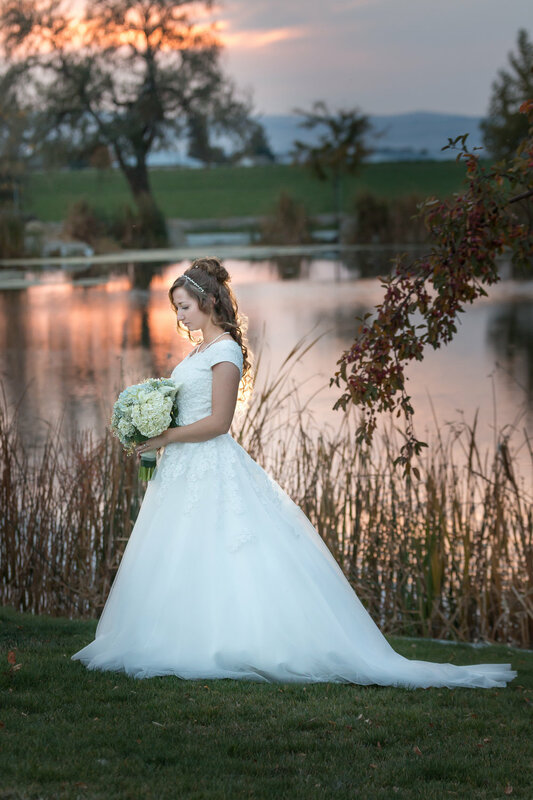 “…Creekside Affair was the best choice we could have made for our venue. The service was outstanding and the landscape was magnificent. You can get everything at one place which made planning so much easier..."
Images courtesy of Heather Sali Photography, Art of Aperture and KelseyLisaPhotography. We’re excited to offer indoor/outdoor wedding venue services to the wonderful people of Idaho. A Creekside Affair is a stunnning setting for your special day, whether you’re planning a rustic elegant event, country wedding, vintage wedding, classic wedding, or reception as well as corporate events, holiday parties, proms & more! Serving all of the Treasure Valley including Boise, Eagle, Meridian, Nampa, Star, Emmett, Fruitland, and Parma. Our year round, 2-acre, pond accented by sparkling fountains. The easy to access and easy to photograph bridge. We offer multiple lawns and landscaped areas. We keep surrounding areas ready for creative moments. Our new 4,800 sq. ft. event center strung with bistro lights, spacious bride's suite and groom's room, assures that no matter the weather, A Creekside Affair has you covered! Alcohol policy: You must hire an Idaho licensed and insured alcohol vendor (a.k.a. traveling bar) to bring and dispense all alcohol. Hard liquor is okay as well as beer & wine. Proof of your hired alcohol vendor's license and insurance must be submitted to us via email at least 1 month before your event. Food: You can hire any caterer or bring in your own food for your event. We are ready to help with the special day! Designed by Smalltown Design, LLC.